Australia had a multi-billion interest in an Indonesian takeover of Portuguese Timor that has been left out of academic and other discussion of Australia’s well-known support for the Indonesian occupation. Kim McGrath is a writer and researcher. 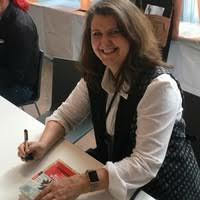 She has been published in the Monthly and her first book Crossing the Line, Australia’s Secret History in the Timor Sea was released in August 2017. She is currently completing a PhD at Monash University based on extensive research at the Australian National Archives on Australia’s Timor Sea interests. She has visited Timor-Leste 43 times since 2007 with former Victorian Premier Steve Bracks supporting him in his role as governance adviser to Xanana Gusmao.